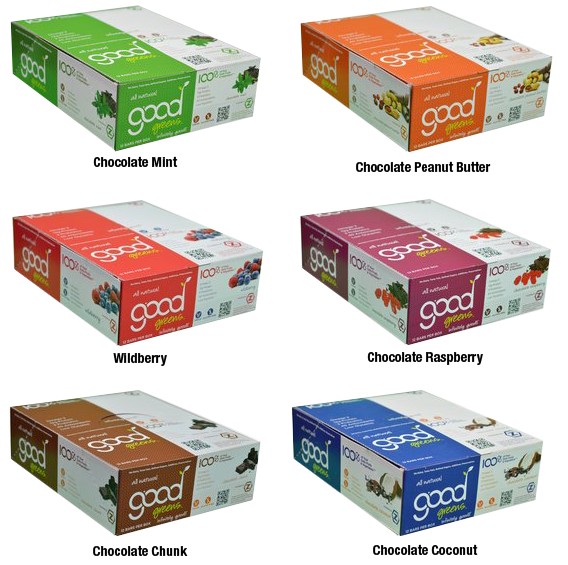 From children to seniors, Good Greens Bars supply every body with vitamins, probiotics and antioxidants that it needs. 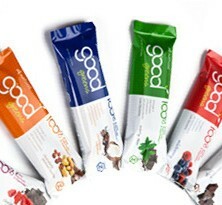 Every bar provides you with 100% of your daily fruits and veggies. 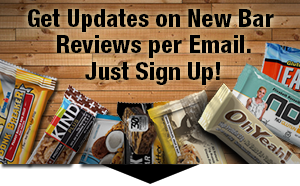 INGREDIENTS: Natural Fruit Juices and Grain Dextrins (Non-GMO), Sunflower Seed Butter, Dairy Free Dark Chocolate (Evaporated Cane Juice, Non-GMO Soy Lecithin, Natural Vanilla), Brown Rice Protein, Z52 Superfood Powder*, Gluten Free Oats, Non-GMO Soy Protein Crisps, Bacillus coagulans GBI-30 6086 (Probiotic), Inulin, Agave Syrup, Natural Flavors. Company founder Keith Pabley got the inspiration for Good Greens when he was working with a wellness physician on improving his practice. He saw the difference that superfoods could make in health and well being − the only problem was that most green superfoods tasted awful. The reviews regarding taste of the different flavors is overwhelmingly good. Buyers love the bars, which is not only because of the taste, but also based on the excellent list of ingredients. Kids who usually dislike veggies, loved the bars. Buyers described the texture as soft and chewy. Just looking at the ingredient list made buyers feel good before even eating the bars. The list is long, but packed with superfoods and ingredients that everybody can understand. 90% of them are raw. 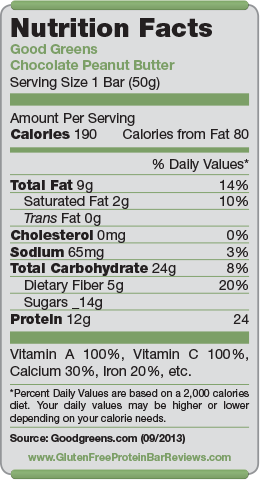 With a nutritional profile like that and all the good ingredients, $2.49 per bar is a fair price. Good Greens is still a very local company in Ohio, but as soon as distribution is increasing, the price should go down a bit.